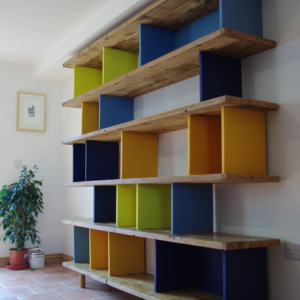 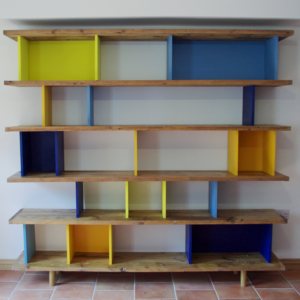 These shelves were a bespoke commission for a client in Bristol. 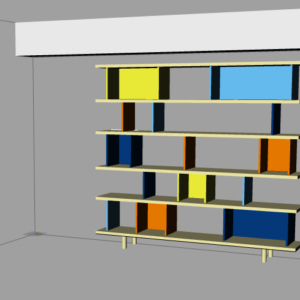 The design is mid-century inspired, but I added an extra dimension by using reclaimed industrial pine floorboards for the shelves. 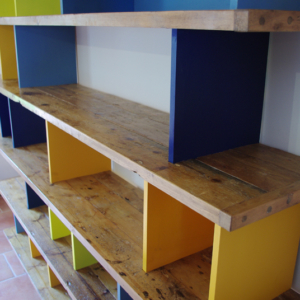 The juxtaposition of the textured wooden surfaces with the flat coloured panels gives striking contrast and draws attention to the qualities of both.